Turkish Election Results: Can Turkey Heal Its Sectarian Divides? In the wake of the October 10th suicide attacks on a pro-Kurdish peace rally in the Turkish capital of Ankara, the lethargic and confused response of Turkish authorities has betrayed the strain under which Turkish society seems to be at the moment. While it took only four days to name Yunus Emre Alagöz, a young man from southeastern Turkey with connections to the perpetrator of an earlier bombing in the Turkish town of Suruç, as the prime suspect in the Ankara attacks, the rhetoric since then has grown more confused. Though the police and the authorities have focused their search on Alagöz and his connections to a Turkish cell of Sunni militant group IS, Turkish president Tayyip Erdogan gave a speech at a labor union meeting alleging that the terrorist attack had been a joint operation carried out not only by IS but in conjunction with the PKK (a nationalist Kurdish insurgent group operating in Turkey), the mukhabarat (the Syrian government’s intelligence agency) and the PYD (a Syrian Kurdish organization). President Erdogan was quoted as saying, “This incident shows how terror is implemented collectively.” Turkish authorities, however, have refuted this assertion by President Erdogan, acknowledging that although some DNA found at the scene of the bombing was linked to the PKK, it is more likely that the DNA is from protesters at the rally rather than from attackers given the rally’s pro-Kurdish stance. Prosecutors also accused IS of ordering the attacks to disrupt voting in the snap election that was scheduled for November 1st, releasing a statement saying IS’s motives were “disrupting political stability by sabotaging the upcoming elections and complicating the formation of a government… that would emerge after the elections.” Although the attacks have indeed raised tensions within Turkey, it is questionable how much of a negative effect on Turkish political stability they can have, given the country’s current political climate. Since becoming president of Turkey in 2014, Tayyip Erdogan has pushed tirelessly to get the Islamist political party he founded, AKP, the necessary supermajority to shift Turkey’s system from a parliamentary to a presidential one; a move that would give Erdogan near-unchecked control over Turkey’s political system. However, at a general election in June, Turkish voters seemed to reject Erdogan’s bid for executive control and his AKP party lost its parliamentary majority for the first time since 2002. Tensions heightened even further in July when Şeyh Abdurrahman Alagöz, brother of alleged Ankara bomber Yunus, perpetrated a suicide attack against another pro-Kurdish rally in the Turkish town of Suruç killing 34 people. This attack incensed many in the region, some of whom were quick to accuse Erdogan’s government of complicity. The government has denied this charge and there is no evidence linking them to the attack. Despite the lack of evidence though, the PKK retaliated by killing two Turkish policemen, effectively ended the two-year ceasefire with Ankara and re-escalating the Turkish-Kurdish conflict. Some critics have accused Erdogan of intentionally promoting conflict with the PKK to steal back nationalist votes for his AKP party in the November 1st elections, an accusation Erdogan and his government have flatly denied. 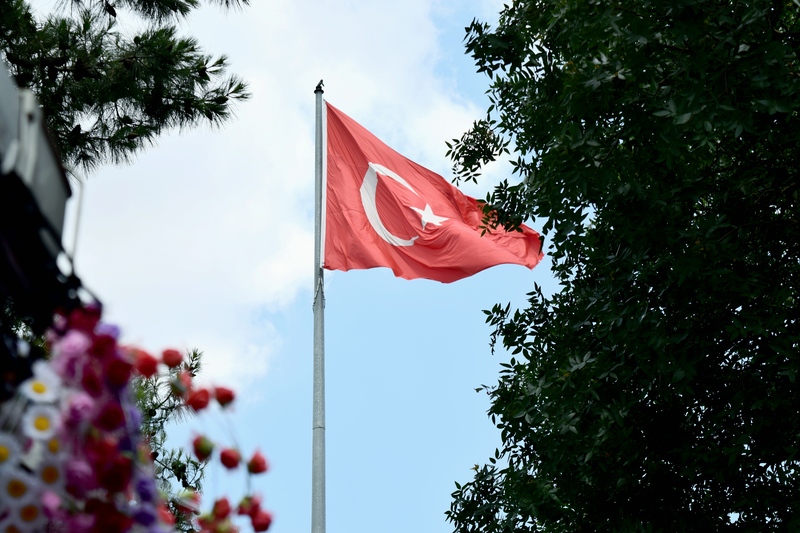 What does remain clear, however, is that political discourse in Turkey has begun to strain under the pressure of the conflicts south of its borders. Having dealt with close to three decades of insurgency and conflict with the PKK, Turkish officials were understandably incensed to find that Turkey’s NATO ally, the United States, was arming and supporting the PYD, given the organizations deep ties to the terrorist PKK organization. This left Turkey in the uncomfortable position of facing the growing threat of IS in addition to the task of balancing the Kurdish nationalist insurgency in the southeast of its territory. Moreover, the deepening divisions between Turkey’s very secular, progressive, urban population and its traditional, religious, rural population has led to a polarization of the political system that would strain a country even in times of peace. With all this in consideration, plus the fact that by the end of 2015 Turkey is expected to play host to close to 2 million Syrian refugees, it is frankly impressive that Turkey has remained as stable as it has. With the November 1st elections returning Erdogan’s AKP back to majority government, Turkey’s future is now more unclear than ever. While Erdogan lacks the supermajority necessary to enact the constitutional change that would grant him executive powers, the return of the AKP demonstrates without question that Erdogan is tightening his control over Turkey’s political infrastructure. Whether this unitary leadership will be beneficial to Turkey in a time when sectarian forces seem poised to plunge the country into chaos remains to be seen. Erdogan should remain cautious, he only needs to look south of the border to Syria to see that authoritarianism is far from a universally stabilizing force. The only way that Turkey can stand in the face of threats like IS is if it remains unified and cohesive. The mutual belligerence between Turkish authorities and Kurdish insurgents is sapping resources which would be better implemented towards the goal of containing Islamist radicalism. Whether Erdogan can achieve this goal hinges on whether he can build a new power base centered on ideals of Turkish unity, rather than fanning the flames of sectarianism and fear for immediate political gain.